Last week in a candid interview with Ebony Magazine pop star Usher revealed Tevin Campbell's smash hit single 'Can We Talk' was supposed to be his song, but was lost over infighting between L.A. Reid and Baby Face at LaFace Records. 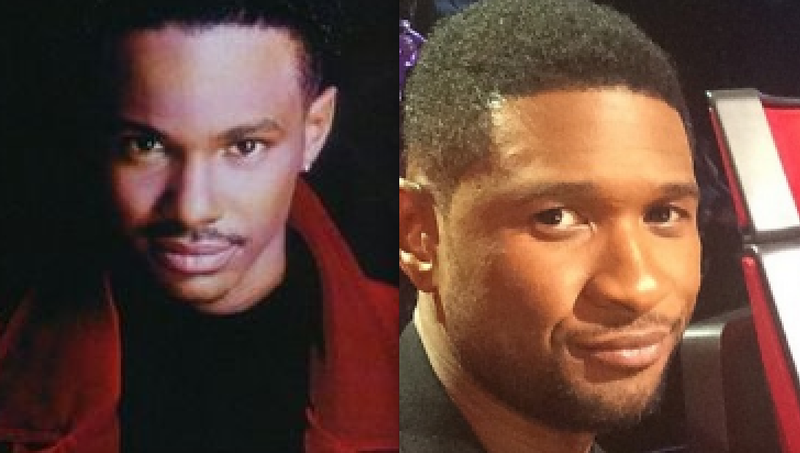 This week Tevin Campbell reacted to the news a with a shady 'Allllrighty then' on Instagram. Oh, I thought they meant Trevino was singing it to him. I was like, what's the tea? Tevin Campbell boo your voice will ALWAzyzs be my favorite. The realness, the skill, the uniqueness... I had your tape and still remember the cover! You will NEVEr be matched!!! if its true, it not a surprise. Lots of songs get shopped around. that's why you have professional songwriters in the industry. Well I'm glad Tevin got the song. He killed it, and looked better doing it than Usher would have at that age. Love love me some TC. And yes his voice is amazing, which Usher can't touch by the way. I still rock his songs on my ipod.Truly an under rated singer. That song came out in like 93??? Usher would've been what ...12?? Tevin did it better, anyways! It went to the right person then. Tevin's on a different level to Usher. Usher can sing, but nothing like Tevin. He does not have the voice control and range Tevin has. They gave the song to the right person. Idk why Usher even said all that. He's had a longer & way more successful career than Tevin Campbell. 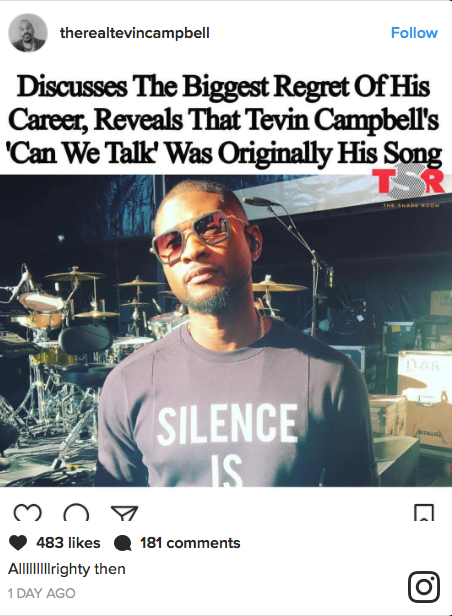 Let Tevin live with his few hits lol I think Usher has been winning for so long, now he's thinking about all the hit songs he passed over the years. welp, I'm glad he didn't get the song. I love that song, album and Tevin's voice on the project. Fun facts: Janet passed on "How Will I Know" (Whitney) and New Edition was supposed to get "Don't Be Cruel". still love me some tevin campbell! "alone with you" stays heavy on my spotify rotation.